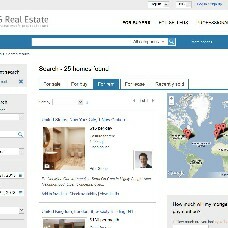 Search widget will allow you to promote your website at your partners' sites. In the admin panel you will get a code to provide to your partners, then they isert it in the code of their website to the place they want it to appear in. Users visiting their websites can start searching their soulmates directly and will be redirected to a search results page of your website. It is a good way to gain more users and make them visit and sign up on your site. The widget size is 300x250 that is a common banner size.